The redesigned library is potentially the biggest change. Valve has already been working with developers on the event system privately, but the upcoming open beta will offer a better - and much more public - chance to see how the system works. That's not the only change coming to the Steam Library, however; the new UI also shows a friend's list with details on what they're now playing, making it easier to fire up a game and join them. In the new view that the Steam library offers, players will be able to easily filter through the games the owns and the users they're friends with. Valve showed off the game page for Counter-Strike: Global Offensive, which now has a section for "Recent Events and Updates" and a section to let you see your friends' activity in regard to a specific game. "We want to build the foundation for a communication platform where all the interesting things that are happening in games can find their way to the customers". The cool addition here is that you can save a tag search as a "collection" of similar games, like, say, "Ninja Action". Streams, game updates, and tournaments were three of the features mentioned that'll be included in the Events page. This makes the ability to jump back into recently played games easier, and more intuitive. Players can also set a reminder for current and future events via external applications or on Steam itself. There's no exact release date for these features yet, but Kroll said they're in closed beta right now and will enter open beta "in the next couple of months". 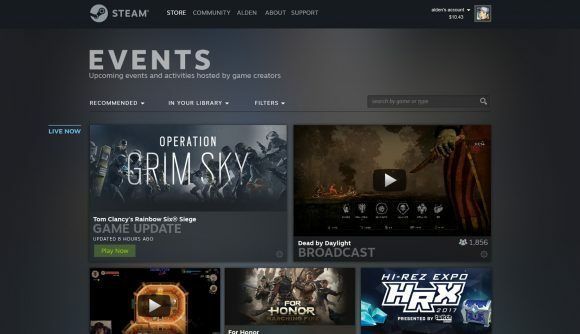 Something to look forward to: While it's still the number one digital games marketplace for the PC, Steam is long overdue a major overhaul. 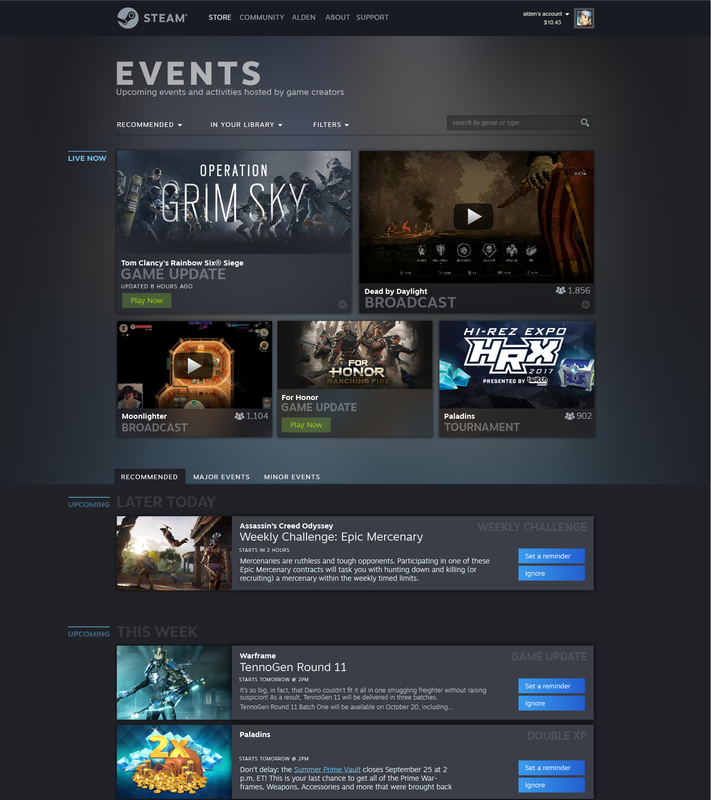 Valve, the company behind it announced that the de facto PC game storefront for many will be getting a redesign at GDC 2019.